The Little Dipper is the kid brother to the skinny dipper. 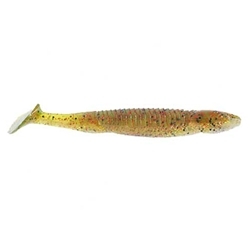 At three and half inches in length, this bait is an excellent choice when a finesse approach is a must. The little dipper can be fished in the same fashion as the Skinny Dipper but will excel in drop shot presentations or behind a jighead. Any way you fish the Little Dipper it will produce!